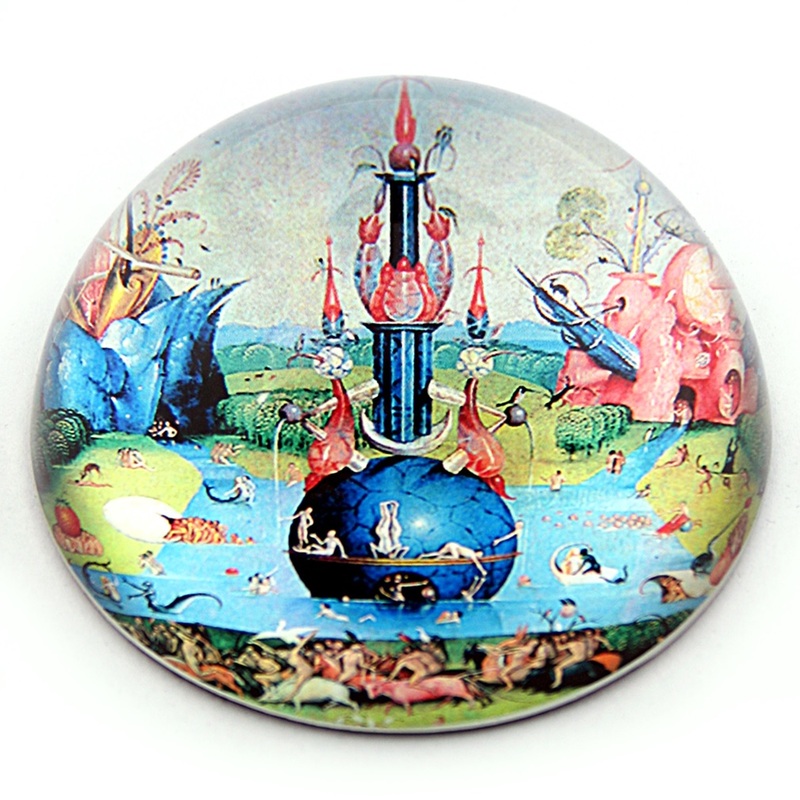 Glass half dome paperweight with image by a famous master artist. Measures 3in diameter by 1.5inH. Comes in an elegant presentation box. From an artistic point of view, the world famous brilliant forerunner of surrealism was, in his day, unique and radically different. Hieronymus (Jeroen for short) Bosch was born during the transition from the Middle Ages to the Renaissance in 's-Hertogenbosch, in the Duchy of Brabant. Hieronymus Bosch's style arises from the tradition of the book illuminations (manuscript illustrations from the Middle Ages). The caricature representation of evil tones down its terrifying implication, but also serves as a defiant warning with a theological basis.